You may not actually write home about it, but we think it is a home run. Our main goal with this new home screen layout was to give you a more personal experience. Now when you open Design Space, the first row of projects that you see are your own. You are the star of this homepage, and of your own creative journey. To help you along we have also included rows of projects with different themes. There is a row for new projects, vinyl projects, iron-on projects, projects that relate to the season of the year or an upcoming holiday. We have also simplified the layout. From the menu in the left hand corner you can setup your new machine, manage your account, and even find out new features or go to our help center. You can also go to your current canvas from the menu as well. Starting a new project is fairly simple as well. You can open a new canvas by clicking the green “New Projects” button up in the right hand corner, or by clicking the “New Projects” tile in the “My Projects” row. all we love the easy of navigation this new homescreen offers. 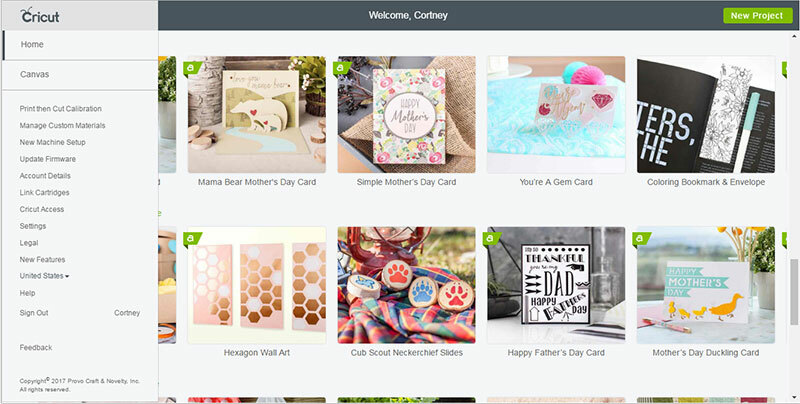 Have you had a chance to go play with the new Design Space beta yet? If so, tell us in the comments what you think! Check out the new homescreen and many other amazing features here. what is going on with the design center it will not work! its very frustrating I have a project I need to get done! 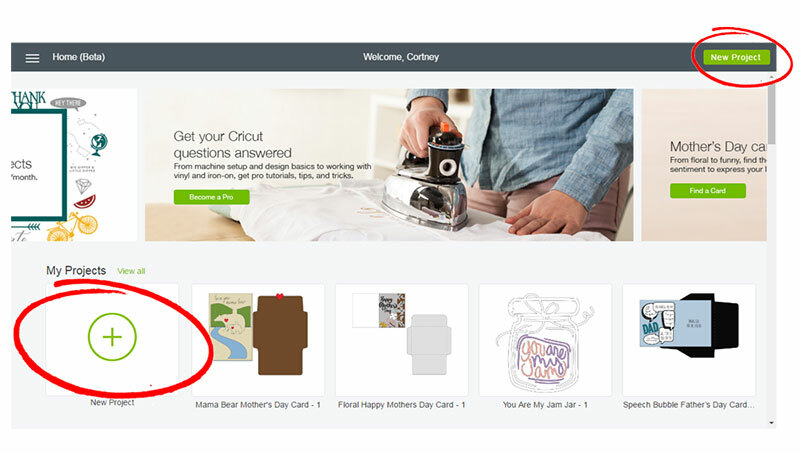 If you are having problems, you can try contacting us at cricut.com/chat. The new Design Space is out of beta now and should be working. Really like using the design space beta. personally I can see it better. like the home page too. I can get to things quicker. I LOVE the new interface. I like that I can see my projects instead of just a bunch of names. I’m slowly going back in & adding a photo of each project so I can see what it looks like completed. When it comes time to cut it out, I just hide that photo so it doesn’t try to have me print it out. I am IN LOVE with the new Beta Design Space. The one and major thing that I have to say is, It constantly makes me uninstall it and then re-download it. It has been doing this for the past week. I don’t know if there is a glitch of some sort that needs to be worked out? I know it isn’t on my end, (well I hope not) but I purchased my computer band new when I purchased my Cricut Explore Air 2. This computer is ONLY used for my cricut projects. I’m hoping this is an issue that is resolved quickly because like I previously said, I’m in love with the new layout. acabo de de bajar la app de cricut desing space, cuando voy a new projets que abre la pantalla no me aparece en la parte del lado izquierdo la imajen de camisas. para poder hacer las camisas. Si que pudieran ayudar quedo atenta. ¿Usted está buscando la lona de la camisa? Esta característica no está en el nuevo Design Space, pero siempre estamos haciendo mejoras para una mejor experiencia de usuario. Why did you remove Set Canvas from Design Space and when are you bring it back?